In light of today's techological advances we risk abandoning the art of historically respected trades. Of course there is an easier way to produce cabinetry, automated processes that are far more cost effective. The beauty is not in how many you make but in the character of each piece you craft. My name is Tony Parkins and I have been building elegant, affordable custom cabinetry in Seattle, Washington for over 20 years. I have built my business around honesty, integrity, and good value. 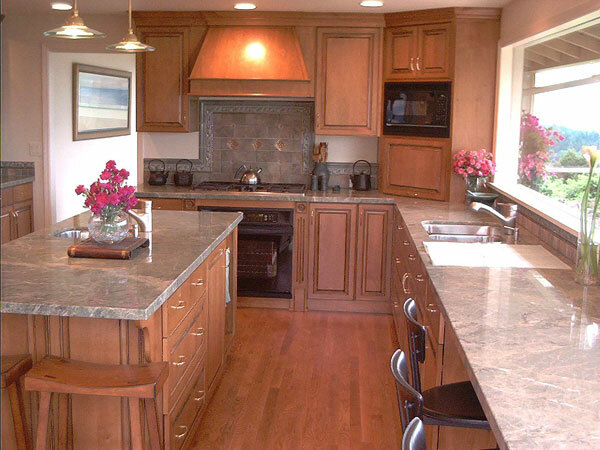 My goal is to build quality cabinetry that exceeds customer expectations and stay in budget. Woodworking is my gift and I love what I do. I started my own business in 1986. I have learned my trade by hands-on experience. I have incorporated different construction and design methods learned from seeing other construction styles into my own brand of custom cabinetry - the final result being a product that is second to none. From design to installation, I consider myself to be a craftsman in all areas of this trade. I also have extensive knowledge of remodeling after spending many years as a remodel contractor. Having this experience allows my do-it-yourself customers the side benefit and advantage of my helping them through their project. I am always happy to share my expertise along the way .